Interested in having a tour of the new civic centre? Now that work has been completed and the council have moved in we would like to offer the opportunity to have a tour of the building. Tours will take place on Saturday 17th February 2018, with two sessions starting at 10am and 11am and will include a full tour of the building covering areas such as the new customer contact area, café, meeting rooms and Council chamber along with the new office accommodation. To ensure that we have sufficient officers to assist with the tours we are asking that anyone interested in taking part in one of the tour confirms this via email to CorporateWorkplaceSupport@harrogate.gov.uk or call 01423 500600 and ask for Maxine Smith on ext.58187 by Friday 9th Feb.
Now that the build of the new Harrogate Council Civic Centre is complete, local residents were invited for a tour of the site. We appreciate that living nearby to a live construction site has had many challenges, so we wanted to provide residents with the opportunity to see inside the building they have patiently watched the HFC team create. 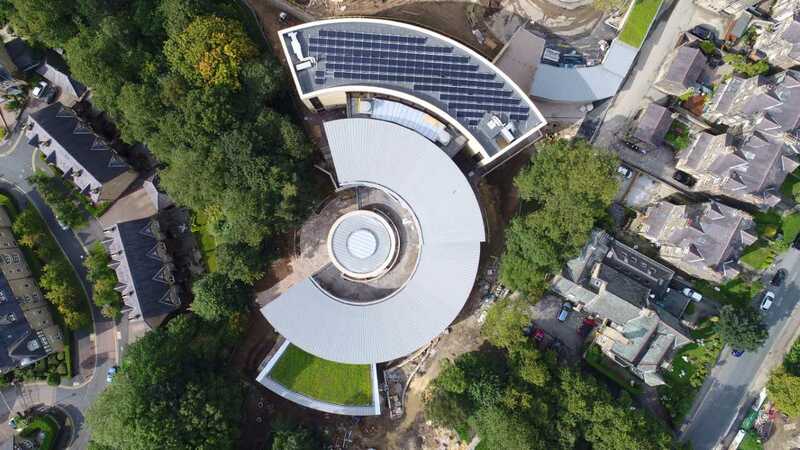 After months of sharing artist’s impressions we are proud to be able to now share these recent ariel shots of the site, showing how far we’ve come with the build. Our team on-site are in the final stages of completing this important building for Harrogate and are looking forward to seeing it in use…..
Jake Berry MP, Minister for the Northern Powerhouse and Local Growth, visited Harrogate Borough Council’s new Civic Centre which is nearing completion during a visit to find out about future developments aimed at driving the economic prosperity of the area. During his visit the Minister was updated on plans for the Station Gateway Project, which aims to provide a development that will be a catalyst for business growth, urban living and retail opportunities. The scheme also aims to create high quality transport links, including a modern rail interchange which also incorporates buses, cycling, walking, and private cars. The transport element of the scheme has been indicatively allocated £1 million in growth deal funding from the York, North Yorkshire and East Riding Enterprise Partnership. The Minister also learnt of redevelopment plans for the Harrogate Convention Centre, which if approved following the development of a business case, would see it become an ‘event complex’, possibly incorporating accommodation, retail outlets and leisure facilities. 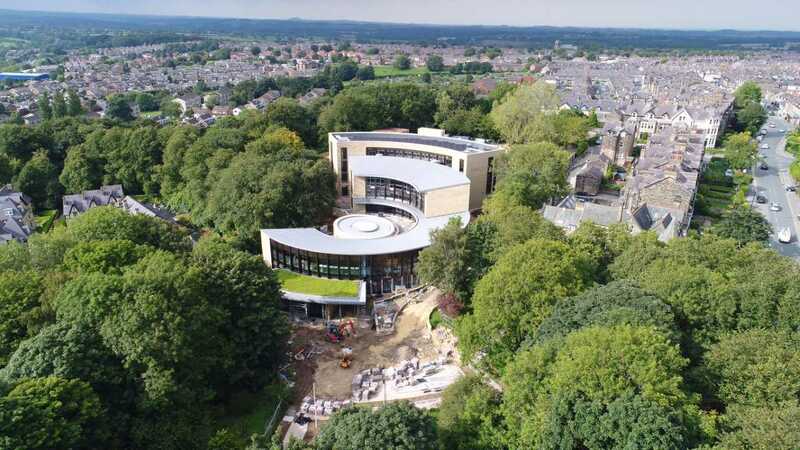 The Minister’s visit to Harrogate ended with a tour of the council’s new Civic Centre, which sees five old offices and portacabins replaced by a modern, environmentally efficient, ‘one stop’ customer focused building which will deliver operating benefits and financial savings of around £1 million a year. The Minister was shown round the new building, which will be operational from the autumn, and briefed about the district’s economic growth strategy and future development plans by Councillor Richard Cooper; Leader of Harrogate Borough Council; the council’s Chief Executive Wallace Sampson; and it’s Director of Economy and Culture, Trevor Watson. Councillor Richard Cooper said: “A strong local economy is one of our four priorities and this was a great opportunity to show the Minister some of the ambitious plans we have to create a more sustainable economy delivering the jobs, transport and housing we need.